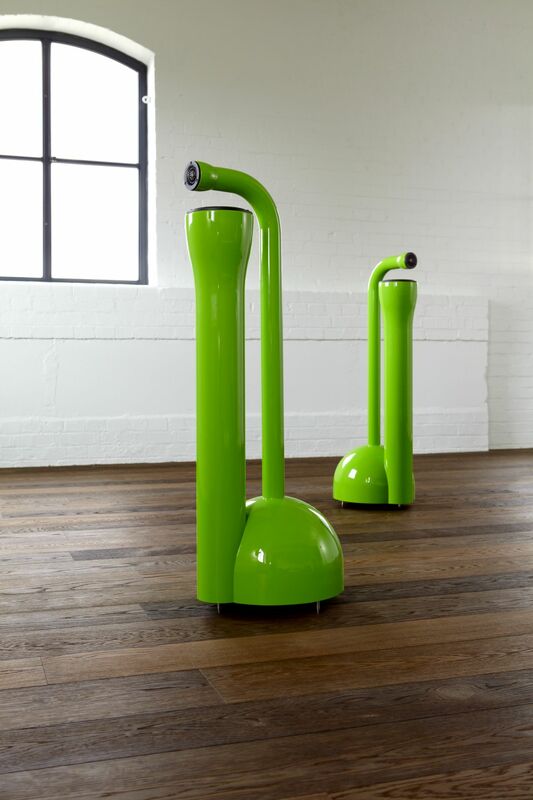 Back by popular demand... We'll be demonstrating our green tubular loudspeakers on our stand at the 2013 International Broadcasting Convention. We dont make loudspeakers - we offer advice from strategy through to implementation on: technical concepts and design, strategy and due diligence, internet broadcasting and webcasting, acoustics and archiving. We speak in technology-free language and are committed to providing honest and practical advice to suit your business. These loudspeakers are designed to create an omni-directional sound field for lower and mid-frequencies, so that sound is reflected off walls and ceilings to give directional cues to the listener's brain. This aspect, and other features of the design, reduces the classic 'loudspeaker box' sound that we all hear everyday and recognise as not being 'the real musician in the room'. At IBC 2013 we'll play high definition 88k/24bit music recordings (better than CD quality) from an Apple Mac Mini through a PrismSound Orpheus firewire sound interface, with the music files digitally processed to improve the sound quality. We look forward to seeing you at IBC 2013 - 13 to 17 September 2013 - Hall 8, Stand A44. For a free entrance ticket, log on to www.ibc.org/registration and enter the customer ticket code 12790. Please get in touch if you'd like any further details or to arrange a meeting. We'll be happy to help.